Western blot analysis of whole cell lysates probed with S100A8 antibody (VMA00595) followed by detection with Goat anti Mouse HRP conjugated (1/10,000, STAR207P) and visualized on the ChemiDoc MP with 32 second exposure. Arrow points to S100A8 (molecular weight 11 kDa). S100A8 antibody recognizes S100A8, also known as MRP-8, S100 calcium-binding protein A8 (calgranulin A), calprotectin L1L subunit, leukocyte L1 complex light chain or migration inhibitory factor-related protein 8. Mouse anti Human S100A8 antibody recognizes S100A8, also known as MRP-8, S100 calcium-binding protein A8 (calgranulin A), calprotectin L1L subunit, leukocyte L1 complex light chain or migration inhibitory factor-related protein 8. The protein encoded by S100A8 is a member of the S100 family of proteins containing 2 EF-hand calcium-binding motifs. S100 proteins are localized in the cytoplasm and/or nucleus of a wide range of cells, and involved in the regulation of a number of cellular processes such as cell cycle progression and differentiation. S100 genes include at least 13 members which are located as a cluster on chromosome 1q21. This protein may function in the inhibition of casein kinase and as a cytokine. Altered expression of this protein is associated with the disease cystic fibrosis (provided by RefSeq, Jul 2008). 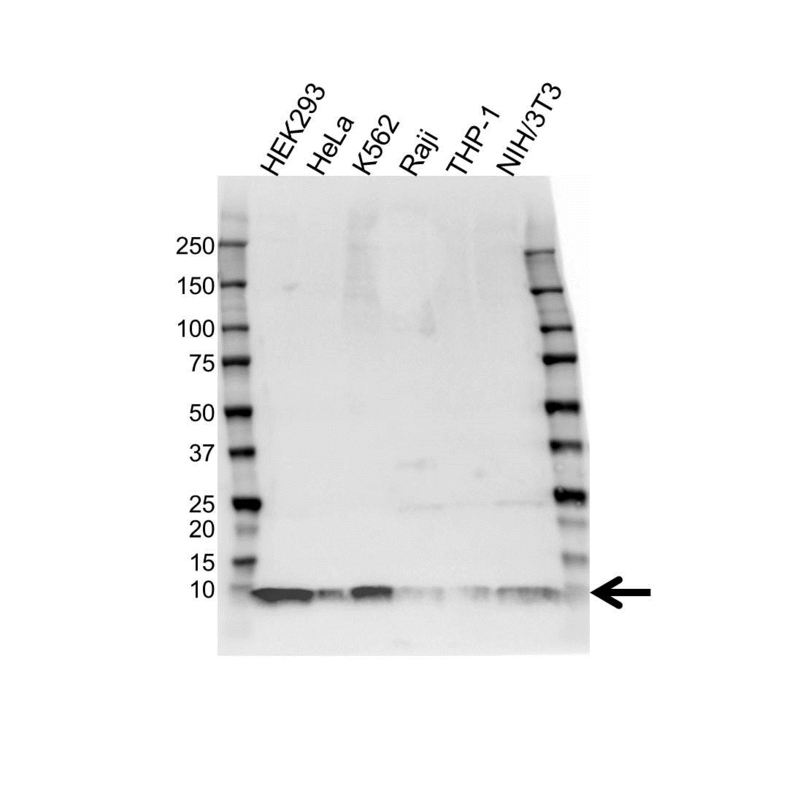 Mouse anti Human S100A8 antibody detects a band of 11 kDa. The antibody has been extensively validated for western blotting using whole cell lysates.